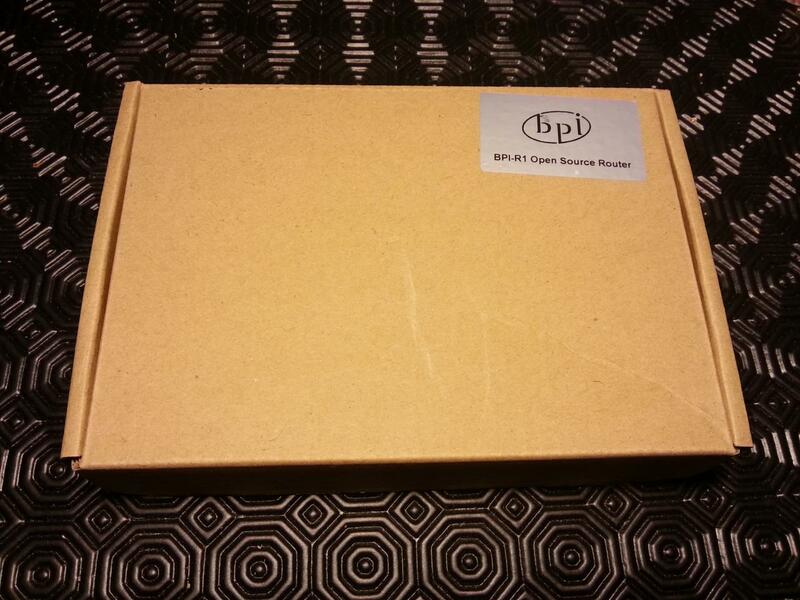 In the Bananas technological tree, there is a very special one : the BPI-R1 Open Router. 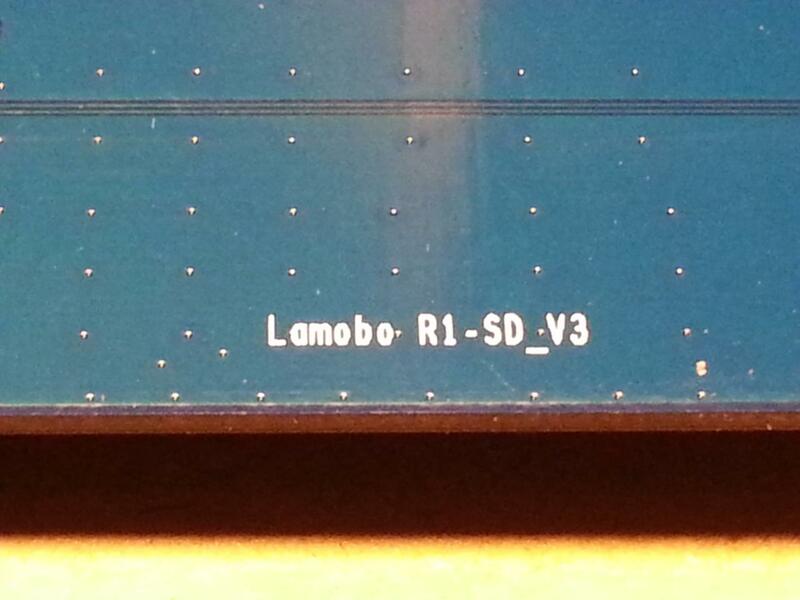 This board is built and sold by SinoVoip, a chinese hardware manufacturer but the board shows « Lamobo » branding. 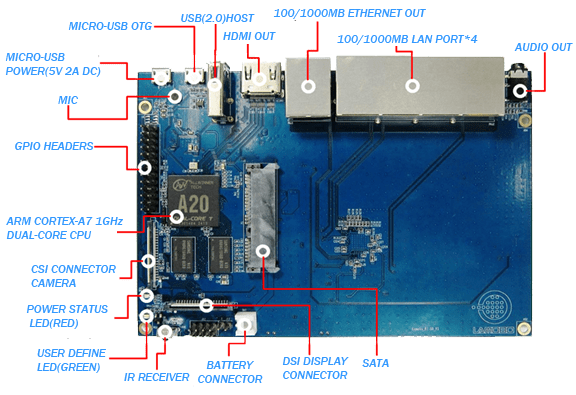 The BPI-R1 is still powered by a AllWinner A20 ARM-Cortex DualCore SOC with Mali 2.0 graphics, 1Gb DDR3 SDRAM, HDMI, IR receiver and microphone. But it also have a 4+1 ports Gigabit ethernet, onboard WiFi and a « slot » for a 2.5″ hard disk (secured with a single screw). 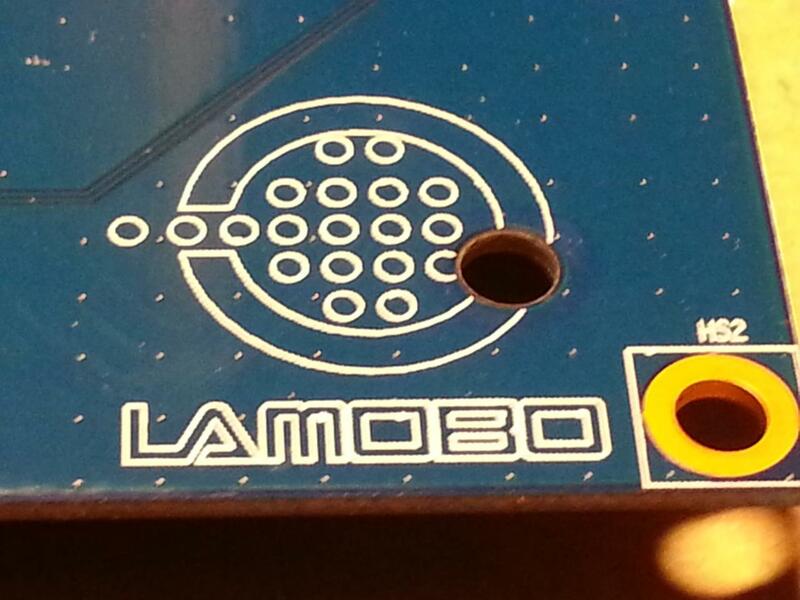 There’s also a 2 pins connector for an external li-po / li-ion battery (there are only solder pads on the B-Pi / B-Pro). The Raspberry Pi compatible 26 pin GPIO port, camera and LCD connectors are still present. One USB2.0 port and the composite video output disappeared. GPIO (2X13) pin GPIO, UART, I2C bus, SPI bus with two chip selects, CAN bus, ADC, PWM, +3.3v, +5v, ground. 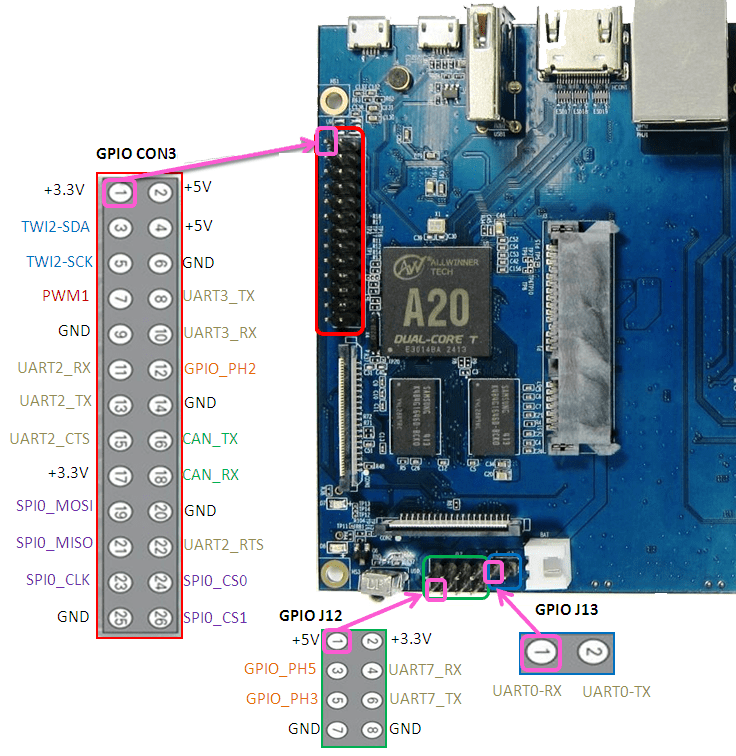 The main GPIO header (con3) shares the Raspberry Pi A/B and Banana Pi pinout, with 2xUART, I2C, 1 hardware PWM, CAN, 1 SPI with 2 chip select lines. 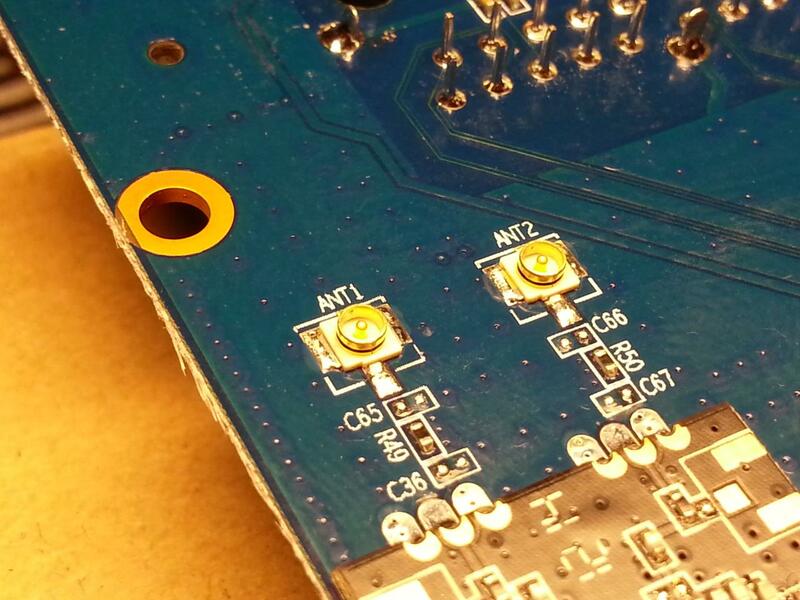 A first additional 8 pins header (J12) adds a UART and 2 common GPIOs, and finally a 2 pins header adds the main UART. 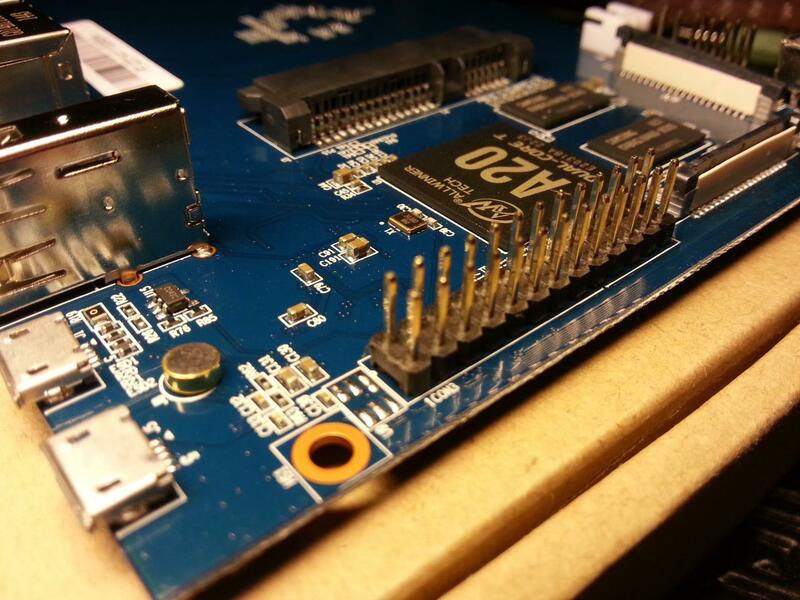 The Lemaker rpi.gpio_bp and wiringBP librairies are working with this board and adds Raspberry Pi GPIO compatibility. 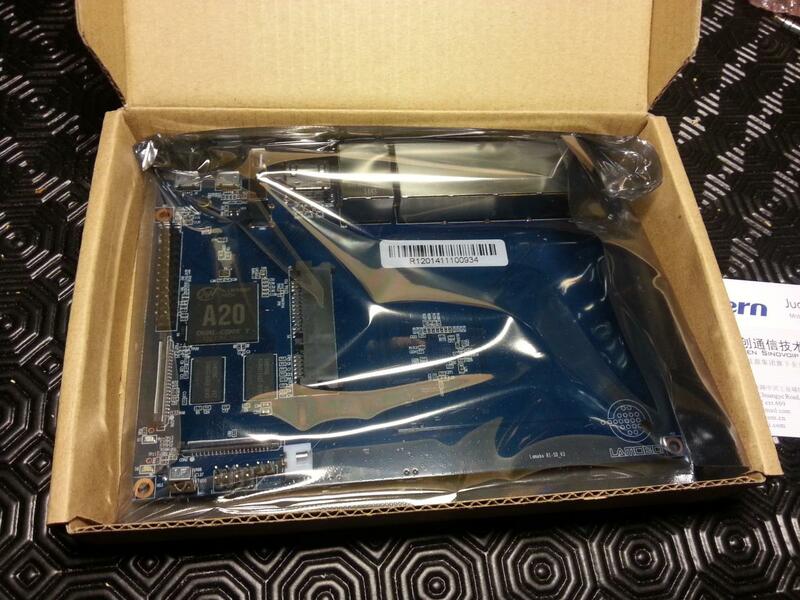 SinoVoip actually provides 2 distributions for this board : OpenWRT and Android 2.0. Unfortunately, the Android port is not very stable and missing some features, and WiFi doesn’t work with OpenWRT. The SinoVoip forums are not of great help either. 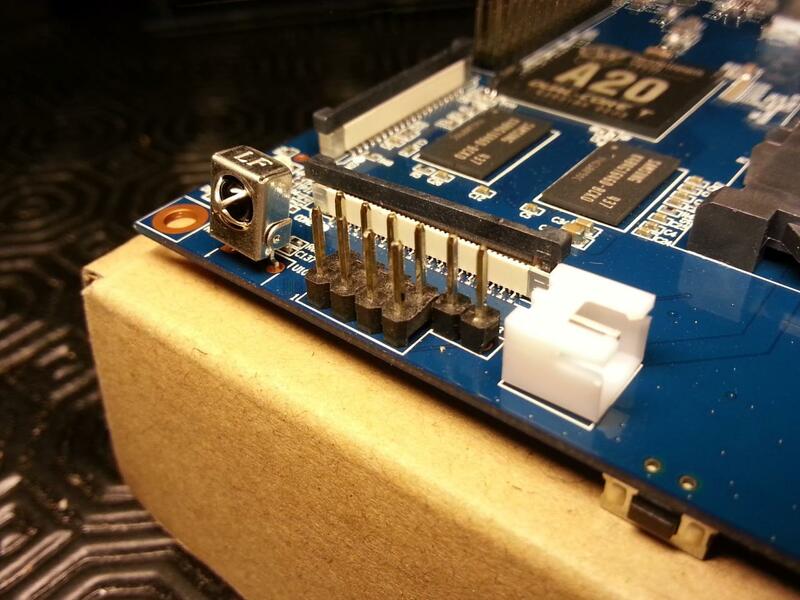 Fortunately, some talented people on Lemaker forums do great work with this board, and Bananian (a very good headless server oriented distro) is now working. 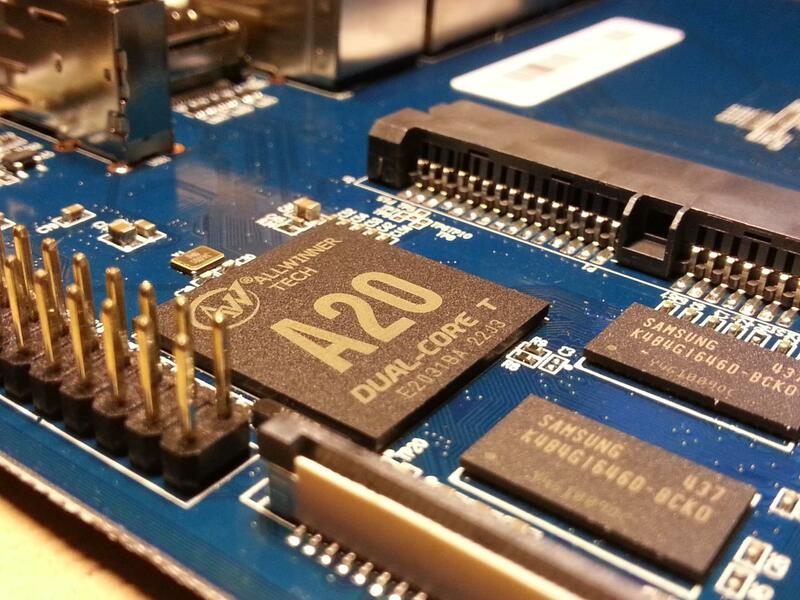 Part of the problem was the BCM53125 chip, where software support was absent. It is now working, and Bananian people provide very good support on Lemaker forums. – onboard RTL8192CU wifi b/g/n, with 2 external antennas connectors. It is compatible with host and client modes. I’m not so sure about monitor mode, I’ll do some tests about that. 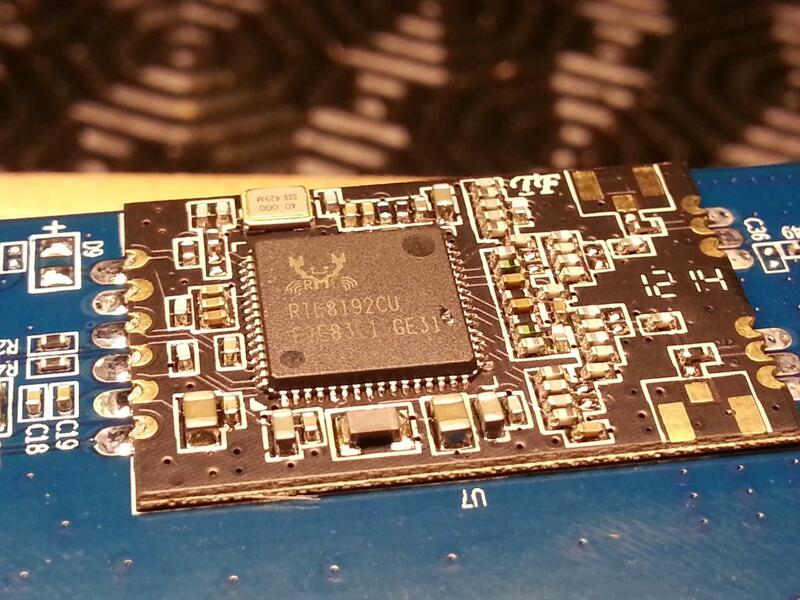 This chip is present on many Wifi USB dongles, so software support is great. There’s no onboard antenna, so an external one is mandatory. Unfortunately, there is none shipped with the board. – 4+1 Gigabit Ethernet : single port PHJ1 is noted as a WLAN port, and the 4 ports PHJ2 switch is noted as LAN. 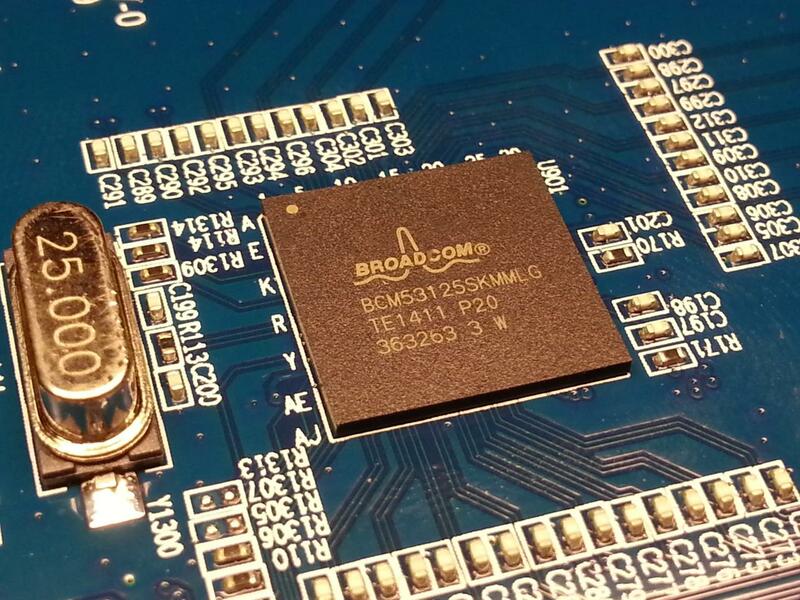 The Broadcom BCM53125 chip is not really documented and worked only in OpenWRT build at start. It is now working in Bananian, with single port acting as a regular ethernet and additionnal 4 LAN ports acting as VLANs with unique IP and MAC adresses. Bananian is configured for hotspot mode on Wifi and 4 ports LAN. The single WLAN port is used as a client to the outside world. Networking software support is still limited at this stage, but it’s working. 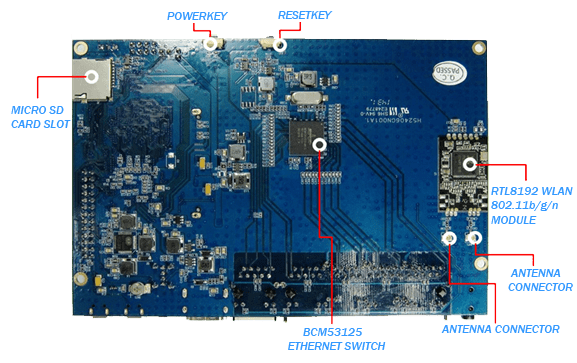 The BPI-R1 Open Router board offers many very interesting features : with its powerfull hardware, it could be used as a very powerfull router / NAS, multimedia home server, home security device, etc. It offers a full set of network connectivity, a onboard SATA slot, is powerfull enough for HD decoding and keeps camera / display interfaces and GPIO for hardware development. Unfortunately, software support is not so great at the moment, but I bet it will improve over time. 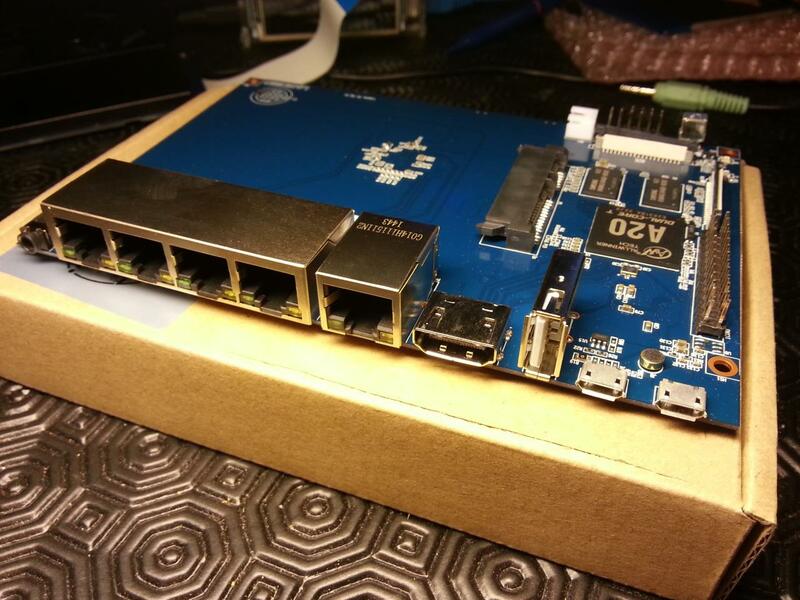 Fortunately, it shares the Banana Pi hardware design, so Lemaker community can work on it. 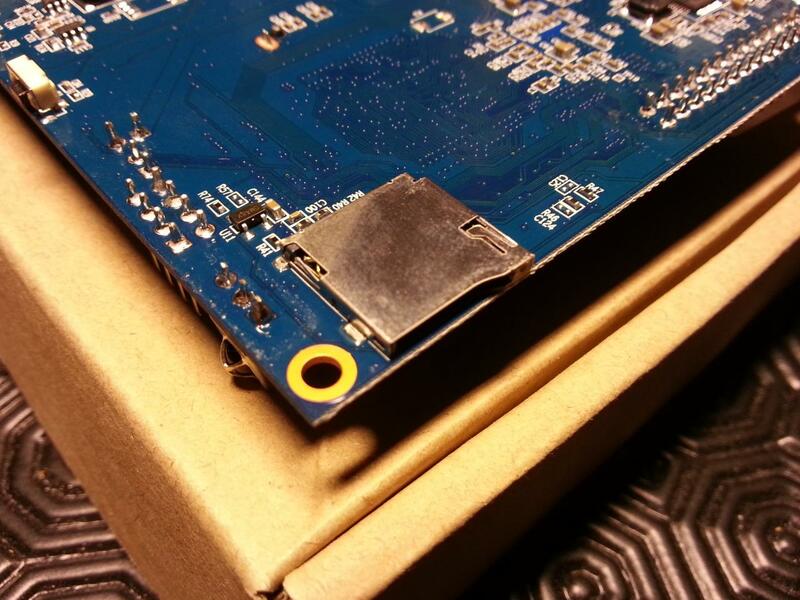 The BPI-R1 Open Router board is available on NewEgg and SinoVoip AliExpress store at 69$ (shipping excluded). I think you have some false information on your page. The BCM 53125 acts only as switch with 5 Ports. The separtions of the ports is made through vlan as you mention, but the vlan devices (in linux ex. eth0.1, eth0.2) doesn’t have a own mac, they use all the same mac address of the switch.